If you have owned investment property for any amount of time you have probably asked yourself at some point “should I hire a property manager?”. Professional property management firms can offer valuable services depending on your specific circumstance. Before you consider self-managing your rental home or apartment you should ask yourself “Do I have the time, knowledge, experience, and resources to manage my rental property on my own?”. For many DIY landlords managing their rental property is not their only job. Most of the time they have a full time job in addition to being a landlord. If being a full-time landlord is not your only job then you may want to consider hiring a property manager. Typically your investment property and ultimately your tenants will suffer if you don’t have the available time to give them the attention they need. I have heard many landlords tell me that hiring a property manager is too expensive and it doesn’t cost them anything to manage it themselves. Managing your properties yourself only costs you nothing if your time has no value. Other landlords may be concerned about the impact the expense of a property manager may have on the properties NOI (net operating income). However, if you are self-managing and not showing any expense for management, your NOI will not reflect an accurate amount. Furthermore, if you are trying to improve NOI because you want to sell the property, most potential buyers will want to see management expense considered in the NOI calculation regardless of who was managing the property. When determining if you should self-manage, always take into consideration the time that it will take you to provide tenants with great customer service, handle maintenance issues, perform accounting activities, advertise a vacant unit, take leasing calls, collect rent, etc. As a landlord, have you ever been in a situation with a tenant where you didn’t know how to handle the situation and didn’t have anyone to ask what you should do? Many DIY landlords only manage a few units and haven’t experienced all of the different situations that an experienced property manager may have over a tenured career managing hundreds or even thousands of units. A good property manager continues to educate themselves on local, state, and federal laws as well as industry best practices so that they know what to do in a multitude of tenant related situations. Not only should they continue to educate themselves, but a good property manager will also have additional resources that they can turn to in situations that they may not know what to do. Having a landlord attorney on retainer is a must for any reputable property manager. They need to have a resource they can turn to in situations that are not common or they need a second opinion. Dealing with landlord related issues over and over again is how a property manager gains their experience. They need great resources such as attorney’s, professional organizations, and software to aid in management of their clients’ properties. If you are landlord and plan on self-managing you will need the same knowledge, experience, and resources that a good property manager needs. You will need to have a good landlord attorney on retainer; you will need to continually educate yourself on laws dealing with your business; you will need software and other resources so you can properly manage and account for your business. 1. Is the property manager a member of a professional organization such as NARPM (National Association of Residential Property Managers) or NAA (National Apartment Association)? a. Typically property managers with these professional affiliations are focused on keeping up on industry best practices and continued education. 2. Does the property manager have at least five years’ experience in property management? a. Many companies may have inexperienced property managers with only one or two years’ experience. You don’t want these green managers cutting their teeth on your property. They are still very much in the learning phase of their career and will make mistakes typically at your expense. 3. As you are investigating management companies are you dealing with a sales rep or your future property manager? a. Many management companies have sales reps to bring on new clients and these sales people typically do not manage your property. Sales reps are much more likely to tell you what you want to hear rather than the way the company actually operates. If you find you are dealing with a sales rep you will need to find out who will be managing your property and what their level of experience is. Be wary of companies that won’t tell you who will ultimately be managing your property or won’t let you ask the property manager questions directly. 4. How many units does the company manage and what type of operation does the company employ? a. Know how many units the company manages and better still how many units your property manager oversees. Many management companies will boast that they manage hundreds or even thousands of properties. If this is the case make sure your property will not be just another cog in the massive machine. Depending on the infrastructure of the company it is best to have a property manager that does not oversee more than 100 units. This number may be lower or higher depending on the experience level of the manager and the type of infrastructure the company has. Be cautious of companies that have a per manager work load of more than 125 units. b. Does the company have a departmental structure or a property manager structure? i. Most large companies have a departmental structure so they can facilitate managing very large numbers of units. This structure may be most efficient for the company to manage hundreds or thousands of units, buttheir clients lose a personalized style of customer service. You will typically be shuffled from department to department to have a simple question answered and it is usually very time consuming for you to deal with departmentalized companies. ii. Property Manager structured companies are usually conducive of higher levels of accountability and customer service. The property manager typically oversees all aspects of your property (leasing, maintenance, accounting, tenant relations, etc.) and is your main point of contact for any question or concern. Again, with this style of management be sure you have an experienced property manager (5 + years) who oversees between 75 and 125 units. 5. Does the property management company embrace technology? a. Make sure that any property management company you select is keeping up with technology trends. Most tenants today want to do business with property management companies that have easy online tools for them to use. Any management company you select should have a user friendly website, an online application, electronic lease and management agreement signing, ACH payments for tenants, ACH distributions for owners, and tenant/client portals for easy access of information. 6. How does the management company charge you as the property owner? a. It is best to find a property management company that has a performance based fee structure. This means that their fees are only collected when you are receiving rents. You will likely see wide variety of fee structures and remember the cheapest isn’t always the best. Just like anything else you get what you pay for. Hopefully these tips will help you decide whether you want to manage your investment property on your own, or hire a qualified property manager to oversee it. 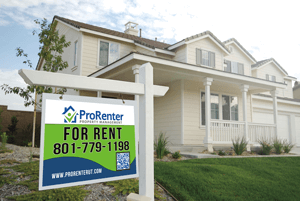 NextNext post:Why Own Rental Property in Utah?